Please be patient. If you click the order button more than once, you will end up with a double charge to your account. "I was introduced to Eddie through his Note School online course. Having seen ALOT of online courses, I was really impressed by the level of detail & professional insights Eddie delivers in his Note School course. For the cost, it was an AMAZING value! And especially so in the real estate market where there is a LOT of hucksters promising the stars failing to deliver, Eddie is the real deal." If for some reason you're not completely satisfied with the quality of this invaluable training, simply send us an e-mail and return the program anytime within the next 30 days, and you'll receive a fast and courteous refund. It's literally that simple. Please keep your Invaluable Bonus Gifts for FREE as our gift to you for taking action. A Better Than Risk-Free Guarantee! 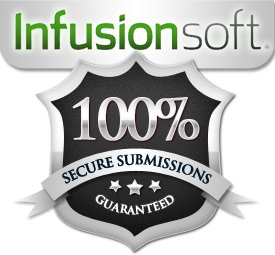 All your transactions with this web site are secure. 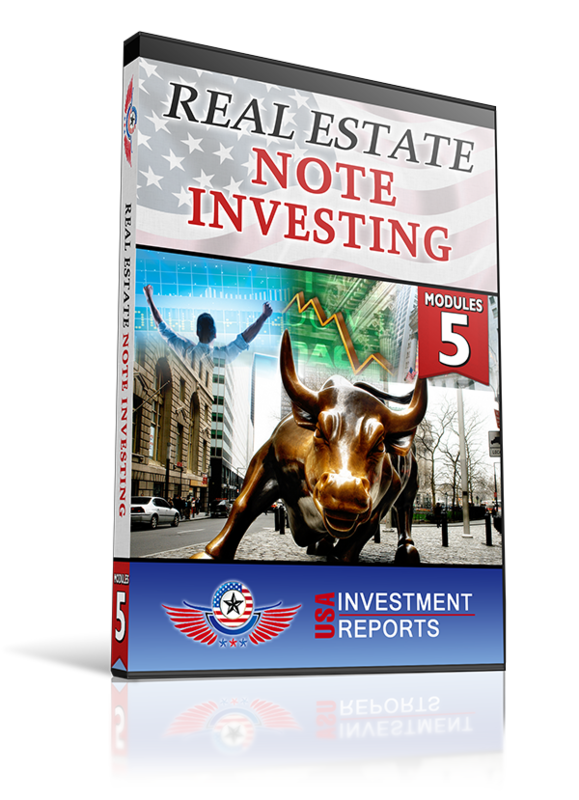 Copyright © 2012-2017 USA Investment Reports. All Rights Reserved. Yes! Please send me the FREE 5-day video training and weekly newsletter with future training alerts. We respect your privacy and will never rent or sell your information. Ever. If I wish to discontinue, I can easily unsubscribe with the link in your e-mails. 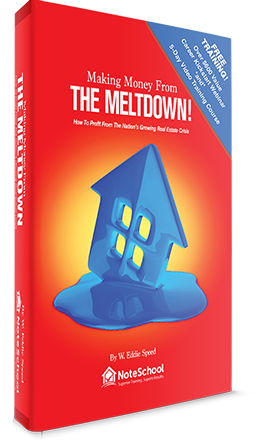 I’m excited to get this package in the mail for you today…so you can begin profiting from Meltdown Real Estate. You’ll be asked to pay just $9.76 for shipping and handling.